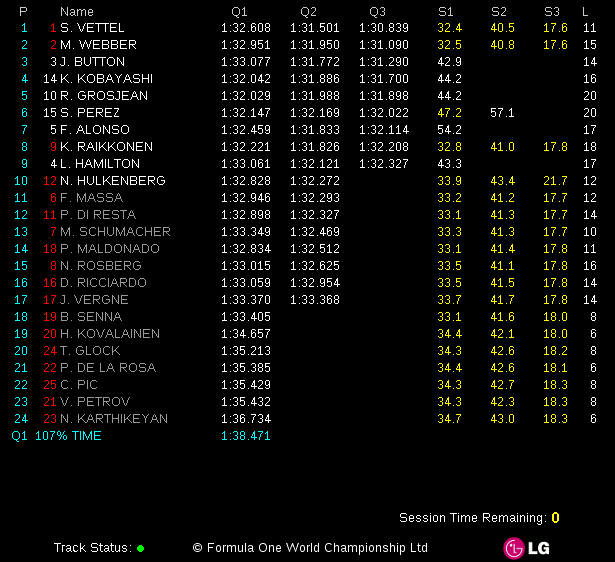 Vettel on pole in Japan; Red Bull on 1-2; Kobayashi on row 2! Poll : Will There Be The 8th Different Winner in Valencia This Season? 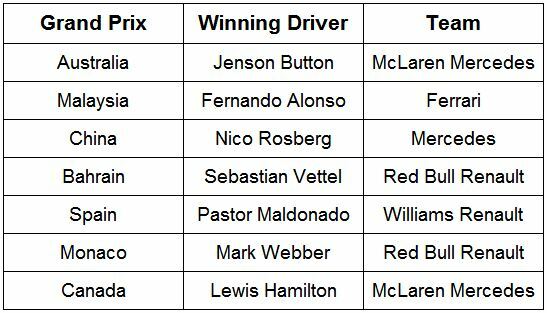 F1 season this year has been unpredictable with 7 different winners for 7 races, unlike previous F1 seasons. The new 2012 Pirelli tyres is the main contributing factor to this exciting season where almost every driver has a chance to be on the podium. The next race will bring us to Valencia Street Circuit which is famous of its lack of overtaking opportunities like in Monaco except that Valencia Street Circuit is not so tight compared to Circuit de Monaco with quite a number of run off areas. Since the inaugural race in 2008, there were only 4 recorded overtakes overall with no overtakes in 2009. So, qualifying pace has a more important role in the race. The teams have to come up with the right race strategy to get the maximum championship points. P Zero White medium and P Zero Yellow soft tyres will be used in Valencia. The teams are able to work on the tyres easier given that the circuit’s high temperature and high speed nature. However, most of the teams are still unable to crack down the mystery of the new tyres after 7 races and control the degradation. The performance of the teams are still not consistent and there is a possibility that the 8th different winner will be on the podium in Valencia. 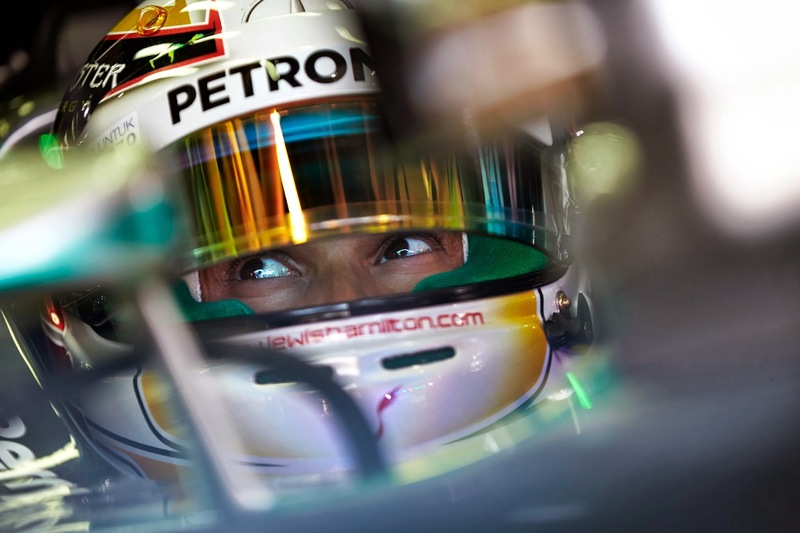 Mercedes has prioritized to solve Schumacher’s reliability problems. He managed to complete only 2 races out of 7 races, which 5 of the races is due to technical failure. We have seen his solid performance in Monaco’s Q3 and if his car does not suffer any technical problems in Valencia, he might make his comeback next weekend. Here are the results for the previous races this season. So, what do you think? Vote in the poll and make some comments below. Click here to read our analysis on the new 2012 Pirelli tyres. Opinion : Should F1 also be cancelled in Bahrain this year ??? 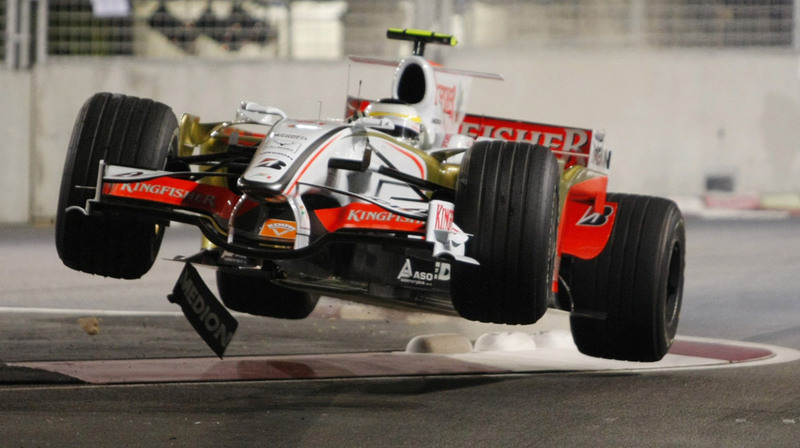 The 2011 Grand Prix, due to be held on 13 March, was cancelled on 21 February because of the 2011 Bahraini protests. The race was canceled for 2011 after drivers including Damon Hill and Mark Webber protested. World champion racer Damon Hill called on Formula One not to reschedule saying that holding the race in the “blood-soaked” kingdom would be on a par with sporting tours that chose to play in Apartheid South Africa in the 1980s. 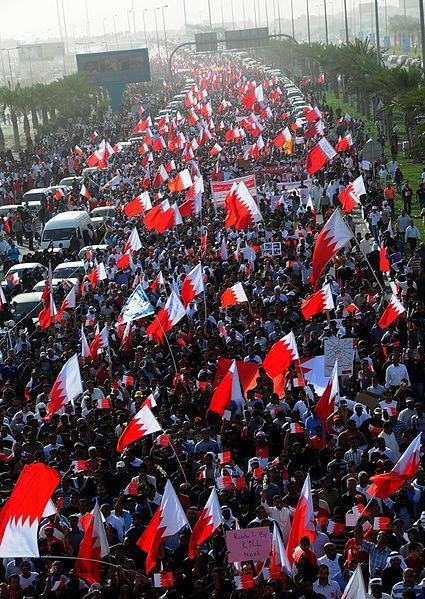 In Bahrain, people have been protesting against the 2012 Formula 1 Gulf Air Bahrain Grand Prix. 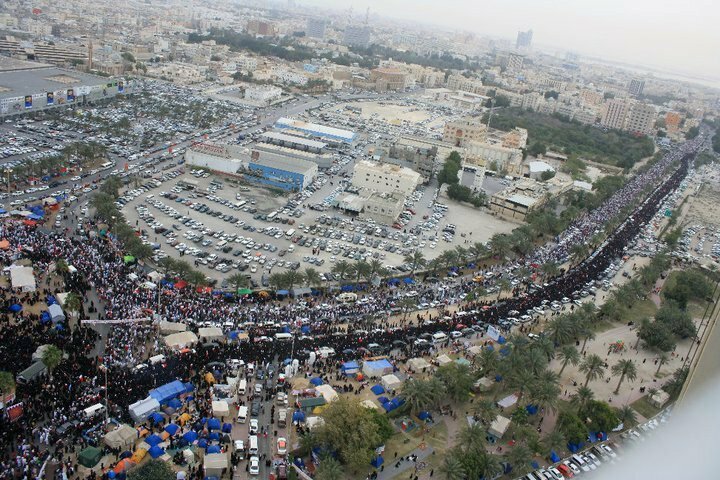 Bahraini protests were initially aimed at achieving greater political freedom and equality for the majority Shia population. Bahrain’s Shia majority has often complained of receiving poor treatment in employment, housing, and infrastructure, while Sunnis have preferential status. Bahraini youths described their plans as an appeal for Bahrainis to take to the streets on Monday 14 February in a peaceful and orderly manner in order to rewrite the constitution and to establish a body with a full popular mandate to investigate and hold to account economic, political and social violations, including stolen public wealth, political naturalisation, arrests, torture and other oppressive security measures, and institutional and economic corruption. 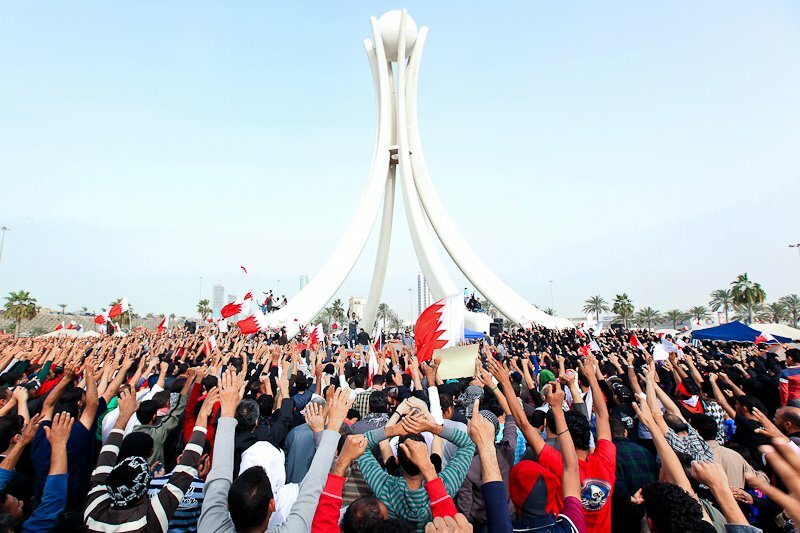 However, following a deadly night raid on 17 February 2011 against protesters at the Pearl Roundabout in Manama, protesters started calling for an end to the monarchy of King Hamad. Since then, Bahrain has been bitterly divided. 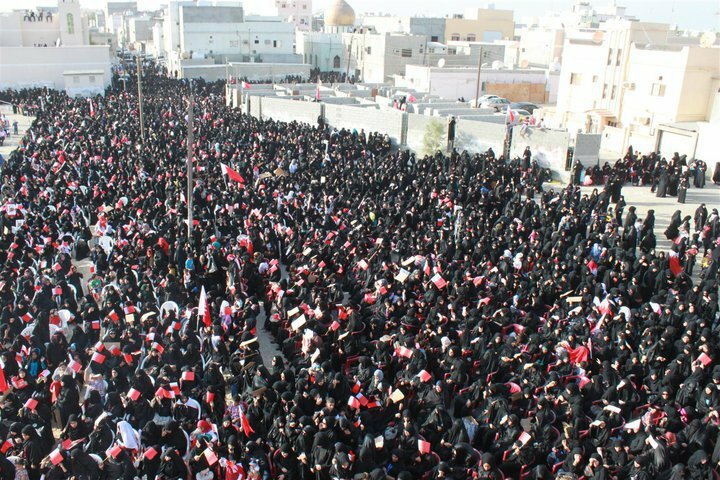 A year on, protests still occur daily in Shi’ite areas, often ending in violence. A month later after the cancellation of the 2011 Grand Prix, the Bahrain International Circuit fired twenty-nine employees who were suspected of sympathizing and supporting the protesters. Some employees said they were beaten and tortured by Bahraini police. 1600 government workers were also dismissed without any reasons. Bahraini police have been firing tear gas to the demonstrators and arresting them. According to statistics from Wikipedia, 64% of detainees or 1866 individuals have reported being tortured and at least 5 individuals have died as a result. As of 24 March 2012, the uprising resulted in about 86 deaths. The number of injuries is estimated to be 2908 on March 2011. The government is responsible to at least 34 deaths due to excessive use of tear gas. 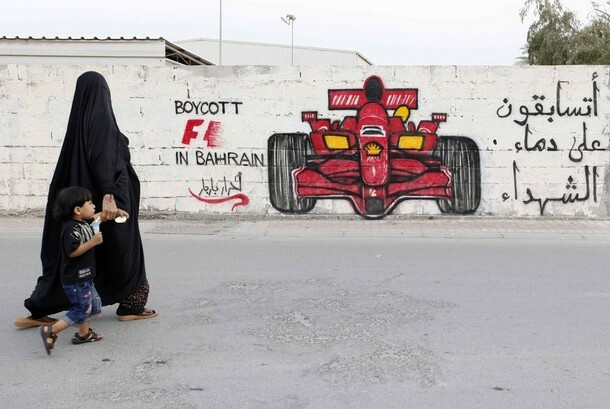 Activists have intensified their campaign to push Formula One to cancel the Bahrain round of the world championship, slated for 20-22 April 2012 at the Sakhir, south-west of Manama. “We object to holding a sports race that belittles the sacrifices of our children and ignores our suffering and wounds. Do not tarnish the reputation of the respected auto sport with the blood of Bahrain victims.” On Twitter, a whole campaign has been launched against the return of the Grand Prix to Bahrain. “Stop, my blood is flowing” and “Race over blood,” were two slogans posted by activists on Twitter, where hash-tags like “BloodyF1” and “NoF1” generate scores of tweets. After a visit to Bahrain in December, former Formula One driver and soon-to-be Sky Sports commentator Damon Hill is urging the return of Bahrain’s F1 race and acknowledging positive changes in the country’s government. “I listened to a lot of people there, including eye-witnesses and I believe they are making changes to become better. I understand the substantial economic significance of the GP for Bahrain and one could imagine the GP being a great fillip for Bahrain on the road to recovery.” However, with under 2 weeks to go, conditions do not seem to have improved, from the reports in newspapers, social media and on Al Jazeera TV. Hill emphasised he was not calling for the race to be cancelled – just for the F1 authorities to think about whether holding it was the right thing to do. “You don’t get 100,000 people risking their lives in protest for nothing.” Defending champion Sebastian Vettel and seven-time winner Michael Schumacher lately supported the return of F1 to Bahrain. Bernie Ecclestone, the chairman of Formula One, says this year’s event, scheduled for April 22nd, will go ahead as planned although there will be no increase in security during the week of the event. ***UPDATE*** UK Labour MP Richard Burden is the latest public official to call for the 2012 Bahrain Grand Prix not to go ahead, believing the country isn’t yet ready for the sports return. ***UPDATE*** Bernie Ecclestone insists that the race will go on unless being cancelled by the national sporting authority in the country. Teams are counting on FIA to do the right decision. ***UPDATE*** FIA has confirmed Bahrain GP will go ahead. As Formula 1 fans, do you wish to see F1 back to Bahrain or do you prefer the race to be cancelled?? Sound off your opinions below!!! Over the years car manufacturers have come and gone from F1, given the mass exodus we had in 2008/9 with Honda, BMW and Toyota all leaving and with Renault downscaling to engine supply, you could be forgiven for thinking that we were entering another manufacturer free period, similar to that that existed in the 1970s when only Fiat (via Ferrari) and Ford (via Cosworth) were involved. However we have recently seen a new phenomenon with car manufacturers such as Proton’s Group Lotus and Nissan’s Infiniti entering F1, not as constructors or even engine suppliers, but as sponsors. This is an interesting shift and one which seems to suggest a changing business model for the manufacturers in F1. It may be that both Lotus and Infiniti will become more involved, but currently they have decided the acquisition of a team or building, or badging, their own engine is not the way to go. Perhaps we will see more partnerships of this kind between car manufacturers and F1 teams – watch this space! At the Monza Circuit in Northern Italy, David discovers the triumphs, tragedies and the nostalgic old style glamour of a past motor racing era in a town that has been hosting the Italian Grand Prix since long before the arrival of Formula One. But now a global super brand, Formula One has changed. David also visits the embryonic circuit on the outskirts of Delhi, which in October 2011 will become Formula One’s latest hi-tech venue. In the ever evolving world of motor sport he questions whether Europe will be able to financially support the sport in the future and whether it matters that a country such as India, with a negligible history of motor sports, has been chosen to host Formula One?